La Palina Black Label | Chicago's Pipe, Cigar & Tobacco Store | Iwan Ries & Co.
La Palina’s rich history began in the late 1800’s. Their patriarch, Samuel Paley immigrated to Chicago from the Ukraine and immediately found work as a ‘lector’ in a cigar factory. By 1896 Sam had started his own factory with a cigar store nearby. Sam dubbed his factory, Congress Cigar Company and quickly gained the name ‘Mr. Sam’, a moniker given to him by his factory workers. After Sam’s retirement in 1926 the La Palina brand was all but forgotten, but now, Sam’s grandson has reinvented the brand in a big way. This addition to the La Palina line lays claim to being their strongest offering yet. 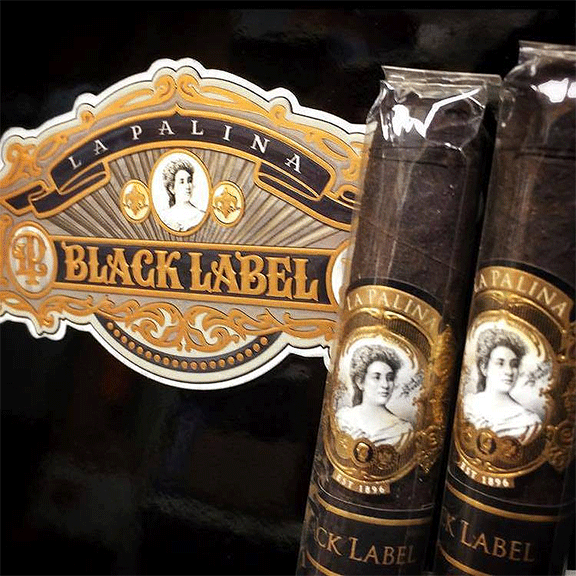 La Palina Black Label features an ultra-dark Brazilian wrapper leaf rife with oils and silky-smooth to the touch. Long-leaf ligeros from the Dominican and Nicaragua fill out Black Label’s core and meld together beautifully. Hailing from the Dominican Republic, Black Label plays host to bold notes of dried fruit, cocoa, and charred wood. Uber-refined, Black Label is a full-bodied powerhouse that maintains impressive balance throughout the entire experience.